An app that discreetly saves images and videos sent through “self-destruct” messaging service Snapchat has been created. 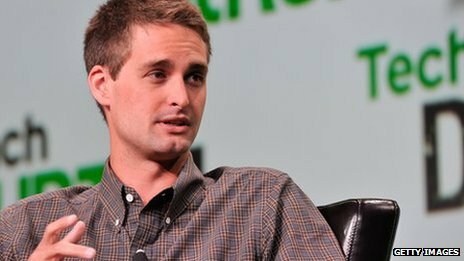 Snapchat rose to popularity as an app that allows people to share pictures, safe in the knowledge they would delete themselves after being viewed. However, Snaphack circumvents this system, allowing recipients to pass on or upload images to social media. Snapchat could not be reached for comment on the app. However, the company’s terms of service state that it does not allow the development of “any third-party applications that interact with user content or the services without our prior written consent”. 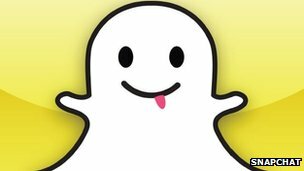 Snaphack was made by UK-based developer Darren Jones, who told the BBC: “Snapchat has not been in touch and I imagine it’s only a matter of time until they request that my app is removed. Previous methods of saving or retrieving Snapchat images and video have been publicised. In August, another app known as Snap Save was distributed – but users found that if they saved an image it would inform the sender they had done so. Snaphack gives no such warning. The app is available through Apple’s App Store. Apple is yet to comment on the issue. Although it is not marketed as such by the company, Snapchat has gained a reputation as a system for so-called “sexting”, due to the app’s countdown timer that renders the picture inaccessible after a few seconds. First released in 2011, the app has rapidly grown to be worth – according to one estimate – around $860m (£540m), but like many social media start-ups it has yet to turn a profit. Concerns over privacy have followed the app’s success closely. In May, the Electronic Privacy Information Center (EPIC) filed a complaint with the US Federal Trade Commission. “Snapchat is the app that promises to delete photos but it doesn’t,” said Marc Rotenberg, EPIC’s executive director. In response, Snapchat brushed off the claims – acknowledging that an image could easily be saved by simply taking a screenshot on the phone, or by photographing the screen with another device. Since then the company has regularly used its blog to outline itspractices for storing images. Other image retrieval methods relied on special software to reverse-engineer Snapchat’s system – but Snaphack’s simplicity and automation raised serious issues, argued one expert. “It absolutely undermines the security of Snapchat,” said Rik Ferguson, vice president of security research at Trend Micro. Developer Mr Jones told the BBC he was introduced to Snapchat just three weeks ago – and said he designed the app to raise awareness that such sharing is possible. “For months people have been sending private images without knowing it has been possible to do this kind of thing with them with other apps,” he told the BBC. Mr Ferguson added: “Snapchat advertises its service as being in the moment – but really the best advice is not to get lost in the moment.